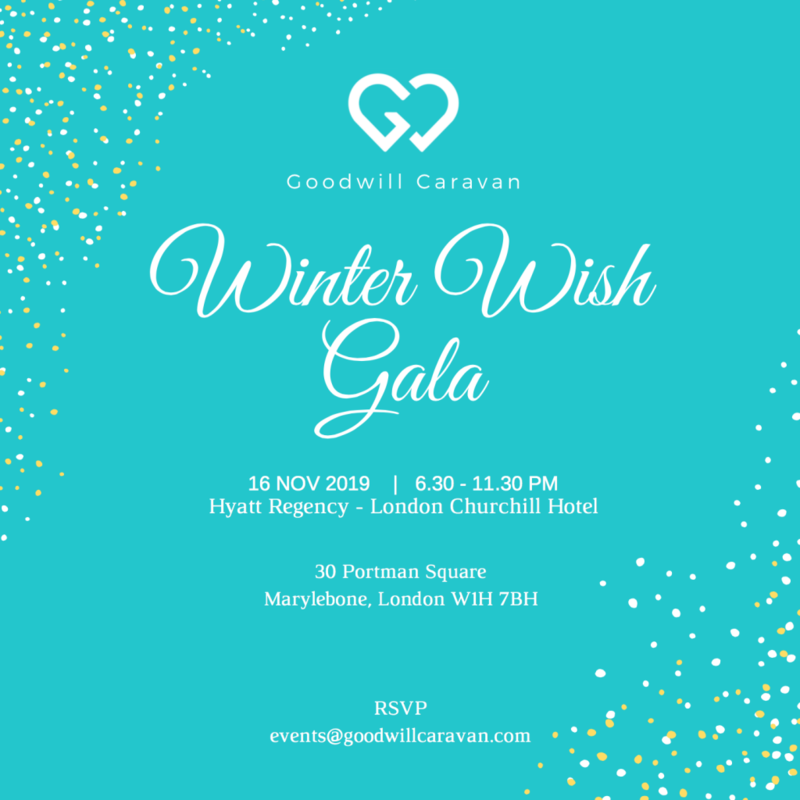 Goodwill Caravan » Goodwill Caravan Winter Wish Gala! Goodwill Caravan Winter Wish Gala! Join us in celebrating the 3rd annual Goodwill Caravan fundraiser! The Goodwill Caravan fundraisers have helped us raise money to support vulnerable refugees that are stranded in Greece. Help us provide a vulnerable refugee support today and full fill their wish of having a safe and hopeful future. Come join us during this memorable event and be a part of our winter appeal while enjoying incredible entertainment and a 3 course dinner at the world renowned Hyatt Regency – London Churchill Hotel. Set to be a magical night!